Based in Singapore, Qtum (pronounced ‘quantum’) is a decentralized and open-source smart contracts platform, a hybrid blockchain that combines the features of the two largest cryptocurrencies by market capitalisation – bitcoin and ethereum. Qtum is unique in the sense that it brings together bitcoin’s reliability and ethereum’s scalability. Therefore, it seeks to bridge the bitcoin and ethereum communities, the real world and blockchain world. Bitcoin’s blockchain forms the basis of the Qtum code, but it is also compatible with the Ethereum Virtual Machine. updates to each blockchain will be applied to Qtum, as well. Qtum says it aims to revolutionise the way Smart Contracts are viewed, developed and used. Developers say that with x86VM, the blockchain platform will be the first to allow “next generation DAPPS become a reality. “With the x86VM, QTUM will be the first blockchain platform to allow next-gen DAPPS become a reality. Developers will be able to build Smart Contracts for QTUM using mainstream languages,” reads a post on the platform’s website. The decentralized governance protocol employed by Qtum enables the modification of the blockchain parameters like the block size, block time, gas schedules, and the minimum gas price without the need to execute a fork. 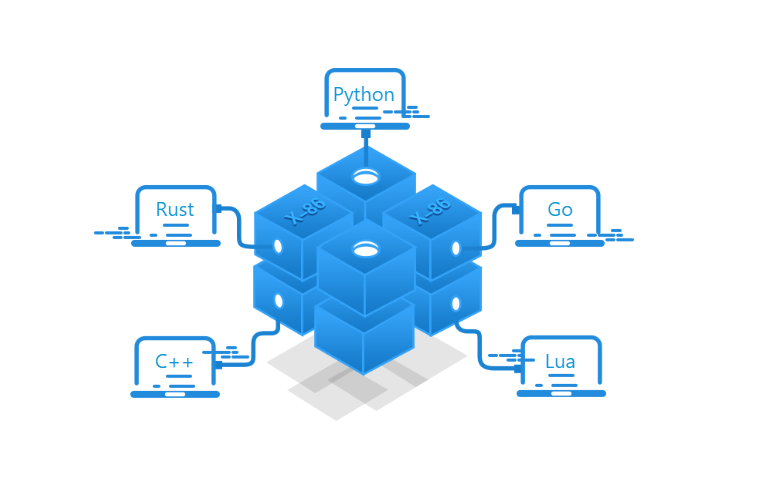 Qtum uses proof-of-stake consensus, an algorithm that allows participants to create and mine new blocks and get a reward based on coin ownership. The block producer gets 4 QTUM, plus the transaction fees and gases as block reward. The standard ethereum token QTUM was issued in the sum of 100 million during the initial coin offering, prior to the launch of mainnet, for funding purposes. Price tracker CoinMarketCap.com ranks QTUM as around the 20th largest cryptocurrency with market capitalization of almost $764 million and a daily trading volume of $141 million. The QTUM crowdsale was launched in March 2017 and started with a bang. The first $10 million tokens were sold in just 90 minutes while it was scheduled to last 30 days or until all tokens were sold. 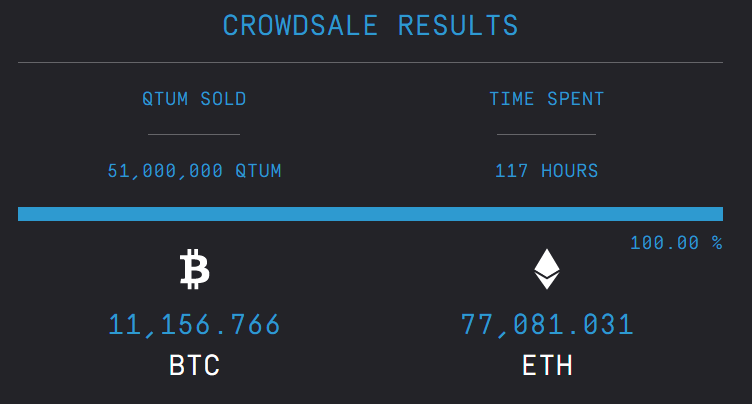 The final results saw 51 million QTUM tokens distributed to the public in exchange for 11,156.766 bitcoins and 77,081.031 ethereum in just 117 hours. By comparison, it took ethereum 42 days to raise $18 million. QTM enlisted six cryptocurrency exchanges to conduct the sale in a coordinated fashion. The sites participating in the campaign were Bizhongchou, Yunbi, ICOAGE, Allcoin, ICO365, and BTC9. 29 million coins went on development of Qtum-related projects. After an initial crowdsale in March, QTUM’s mainnet went live in mid-September, 2017. The swap from Qtum ERC20 tokens to the functional network tokens or Ignition Tokens took place on October 4, 2017. QTUM: How to Buy and Store? QTUM can be bought from a wide range of cryptocurrency exchanges such as Binance, OKE, Upbit, Bithumb, Bittrex, Huobi and others. First it’s necessary to set up a wallet to store the QTUM that will be bought. The token has its own wallet – Qtum Core wallet – which is availablein various forms: desktop, web-based, and mobile versions. The wallet is also compatible with Ledger Nano S, a hardware wallet device that is considered to be the most secure crypto storage tool. To buy QTUM from world’s largest cryptocurrency exchange Binance, it is first necessary to fund the account with bitcoin or ethereum. Ethereum is preferable as it will help cut transaction fees and thus buy more of QTUM. Once the ethereum has been deposited, it’s necessary to click on the ‘Exchange’ link next to the Binance logo and find the QTUM/ETH pair. 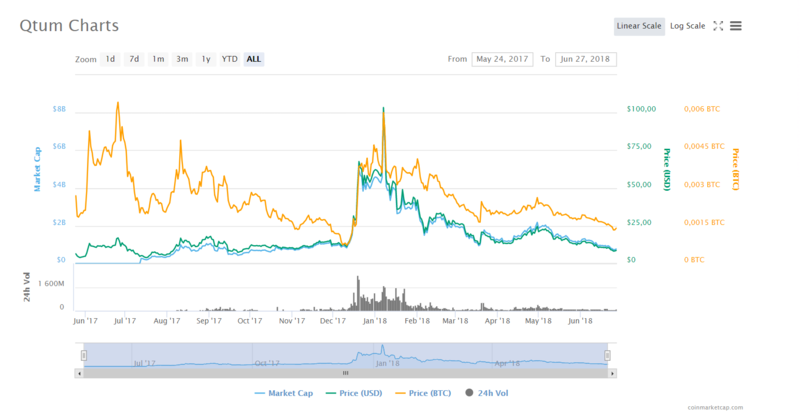 When the chart loads, it’s necessary to follow the Buy QTUM section right underneath it, indicating the amount of QTUM to be bought. Then click on the Buy QTUM button and wait until the transaction is processed and then completed. The Qtum team comes from both the bitcoin and ethereum communities as well as traditional companies like Baidu, Alibaba, Tencent, NASDAQ and more. The Qtum Project is backed by some of the most notable blockchain players, traditional Venture Capitalists, and executives from some of China’s largest technology companies. Qtum was initiated in 2016, but it was fully launched last year, after its initial coin offering (ICO) was successfully completed in March 2017. The platform is backed by a group of blockchain experts. Patrick Dai, previously employed at Alibaba, is the founder of the project. Software developer Jordan Earls is the lead developer and co-founder. Neil Mahi, a professional poker player, heads the department of blockchain development. Qtum is backed by a number of crypto enthusiasts, including first major investor in bitcoin startups Roger Ver, KuaiDi founder, Weixing Chen, OKEx CEO Xu Star and others. Founder Patrick Dai is highly optimistic about the positive changes that blockchain technology can bring to society, and what his company Qtum can contribute to the process. Qtum has recently announced the launch of a number of new changes to the system and operational levels to promote broader adoption, the most significant update being the ’x86 virtual machine’ (VM). It will allow Qtum to transition away from the Ethereum Virtual Machine (EVM) on which it has been running on since inception. According to Qtum co-founder Jordan Earls, the x86-based programs are found to be 10 to 20 percent smaller in terms of size as compared to their EVM counterparts according to the initial testing. The platform is also launching three new projects called Qx, QDex, and Qrypto that are sought to contribute to the improvement of the overall Qtum ecosystem. Qx is intended as a decentralized transaction protocol that will facilitate the trading of digital assets based on Qtum. QDex, a decentralized token exchange running on Qtum blockchain, will allow users to complete QRC token transactions through an easy to use, intuitive and concise interface offering a smooth user experience. Qrypto is a browser wallet management plug-in that will work like the necessary browser interface between blockchain and dApps. In February this year, Qtum announced partnerships with big players Baofeng and Qihu 360, two of China’s leading software companies. In May 2018 Qtum launched partnership with Pundi X, a cryptocurrency solutions provider for retail stores. The deal will see see Qtum appear on 4,000 point-of-sale devices. “Pundi X has the potential to deliver the final nudge that opens the floodgates to mass adoption of Qtum,” said Patrick Dai, CEO and founder of Qtum. Qtum has also found use in social media and instant messaging services. BeeChat, a popular messaging app in Asia, though unknown in the western world, has more than two million users and is built on the foundation of Qtum blockchain. Mithril, a social media blockchain project will be developing its decentralized apps on Qtum. In March 2018 BINGO, an independent blockchain entertainment ecosystem for developers, publishers, and gamers, developed QTUM HEROES - a first cryptocurrency game on Qtum. There are a number of interesting Dapps with talented developers building on QTUM including Bodhi, BitClave, and Spacechain. Qtum’s sights are set on global industry use cases such as shipping logistics, telecommunication tokens, fisheries, factories, etc.